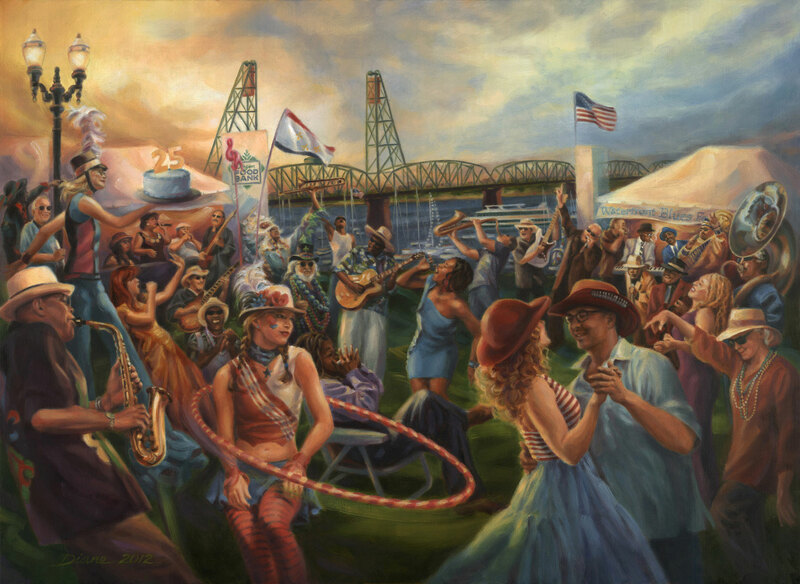 Artist comment: This painting is the result of hundreds upon hundreds of photographs I have taken during the many years I have been attending the Waterfront Blues Festival in Portland Oregon. This festival is unique in that it is a benefit for the Oregon Food Bank, which brings the community together in a very special way. I knew I would do something with all of my photos someday… and that day finally came! I chose the 25th anniversary of this festival to paint the painting with some of the most memorable people and moments. I hope everyone has fun finding all of their favorite musicians!